Coaching at the youth level is a tremendously rewarding experience. You get to help mold our young athletes into respectful sportsmen and sportswomen, teach them the virtues of team play, and help them develop valuable life skills that can be used on and off the field. BYA coaches get to experience first-hand, the fun and excitement that baseball and tee-ball provide our young players. Due to recent laws passed in the state of Pennsylvania, the process for obtaining the clearances required to coach in the BYA is as follows. The Criminal Background Check and Child Abuse Clearance are free. The FBI Fingerprint has a fee, but is only required if you have not lived in PA for 10 years. Criminal Background Check - use the 'New Record Check (Volunteers Only)' link. Enter your personal information and print out a paper copy of your clearance certificate. Criminal Background Checks must be submitted each year and be valid for the year in which you will be coaching. Child Abuse Clearances - if you've applied for child abuse clearances in the past you can access your account and print your clearance certificate. If you haven't applied in the past, you must first create an account and print your clearance certificate after entering your personal information. Child abuse clearances are valid for 5 years after original request. If you've obtained a child abuse clearance within the past 5 years, you don't have to apply for a new one. But you do have to provide a printed copy of your child abuse clearance to the BYA. FBI Fingerprint - only required if you have not lived in PA for 10 years. All coaches and assistant coaches in all BYA divisions are required to turn in their clearances to a league director or BYA board member prior to the start of the season. No exceptions. These are Pennsylvania requirements for ALL volunteers who work with children. Our league fully supports the efforts to protect our players and their families. Click the link below to reserve a field for preseason practices. You can choose as many spots as you like, but please schedule no more than 2 practices per week in the preseason. Remember to notify your team parents after scheduling your practices. Download a copy of the 2019 BYA Baseball Coaches Guide. View more tee-ball videos here. The BYA is excited to partner with Dugout Captain which allows us to bring consistency to player development in all age groups. Please watch the videos below for a brief intro to Dugout Captain and practice planning. We also encourage all Rookie, 8U and 10U coaches to take a look at the Dugout Captain videos below. Below is a template that you can use to contact your team parents. Please be sure to change the [fields in red] before sending. You can copy and paste the text below directly into an email or download a copy of the BYA Coach Parent Letter. My name is [Coach Name], and I will be coaching the [Team Name] in the BYA [Division Name, i.e. Tee-Ball, Rookie, 8U, 10U] division this y ear. I am looking forward to a fun-filled season where the kids will improve their skills as well as learn the values of teamwork, sportsmanship and fair play. My goal is to create a positive, supportive environment so that every player, regardless of ability, has a great experience. Please note that the emphasis in the BYA is not on winning, but on player development and having fun. My primary goal this season is to make sure that every player learns a thing or two about baseball and wants to return to the BAY next season. With that said, all players will play all positions and bat in various positions in the lineup. I plan to treat all players fairly and reward positive attitude, hustle and improvement over natural ability. Please try to arrive about 15 minutes early to games. This allows us to keep our games running on time and allows me to get the kids warmed up before game time. If you're going to miss a game or practice, please try to let me know in advance. Please write names on hats and equipment. We love parent volunteers! Don't worry if you don't have experience or if you can't commit full-time. We can always find something for you to do. Contact me if you'd like to help out. Weather related cancellations will be communicated by the league via e-mail as early as possible on game days. We typically don't cancel games due to the threat of rain. The most up-to-date information on league activities, schedules, contact info, etc. 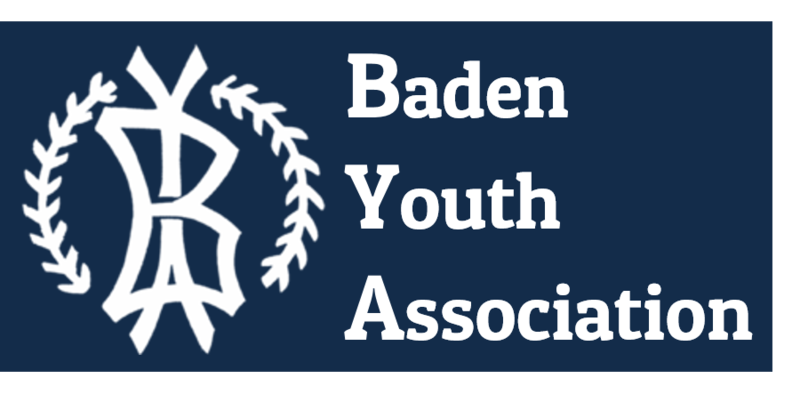 can be found at www.BadenYouth.org. We also post a lot of information on our Facebook page. Saturday, April 6, 2019 - 10am - BYA Field Day - We usually get a big turnout of parent volunteers to help us prep the fields for the spring season. The league will be sending more info soon. Sunday, April 7, 2019 - 12:30pm - 2:30pm - Baden McDonald's (Ohio River Blvd.) - Meet Your Coaches event and uniform distribution. Please stop by and say hello. Monday, April 8, 2019 - pre-season outdoor practices will begin this week. I'll be in touch soon with specific practice dates and times for our team. Sunday, April 14, 2019 - individual and team pictures at the Baden Borough Community Room (lower level). The league will be communicating specific times for pictures soon. Saturday, April 27, 2019 - OPENING DAY! I am expecting to have a great season and I know I will enjoy coaching your children. Please feel free to contact me at any time with any questions or concerns you might have. My contact information is below.